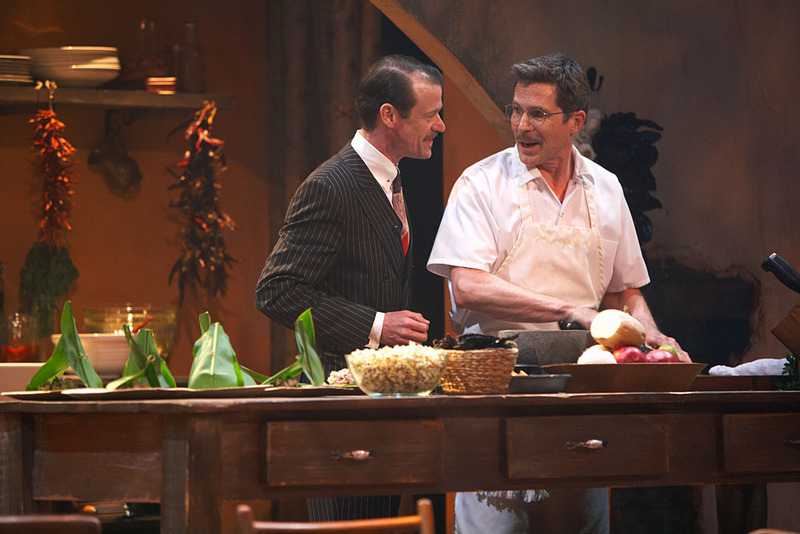 Come see CASCABEL starring Rick Bayless at Goodman Theatre! And happy July to all of you. This is Andre Von Baconvitch reaching out to everyone with a personal note. I normally never mix the worlds of my “day job” (as a sound designer/composer) with that of my Baconfest producing alter ego, but this is one of those unique situations where the two spheres *sort of* overlap. I MUST let you know about a theatrical production happening this summer for which I am one of the production designers. So I’m a proud company member of Lookingglass Theatre here in Chicago, and we are remounting a show called CASCABEL which we premiered to phenomenal success in 2012. 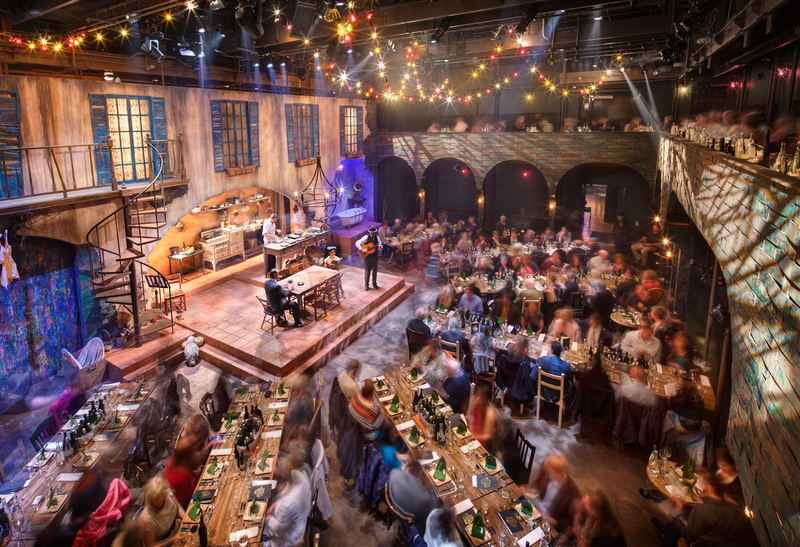 It’s sort of dinner theater meets circus meets awesome evening of entertainment created by Tony Hernandez, Heidi Stillman and Rick Bayless (that’s right THE Rick Bayless). Rick stars in the show – acts, dances, cooks, etc. 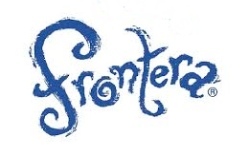 The evening includes a multi course menu complete with pre-dinner appetizers, margaritas… the works, all prepared by Rick and his team at Frontera (who, by the way, rocked Baconfest in April – thank you Jennifer Jones!), . This intensely intimate evening of theatre takes place in a boarding house in Mexico run by Rick’s character “the chef”. You the audience are “the guests” sampling his creations as he tries to woo back his long lost love by infusing his food with aphrodisiacal, magical powers. NEED. I. SAY. MORE. ? If you missed it in 2012, now is your chance. 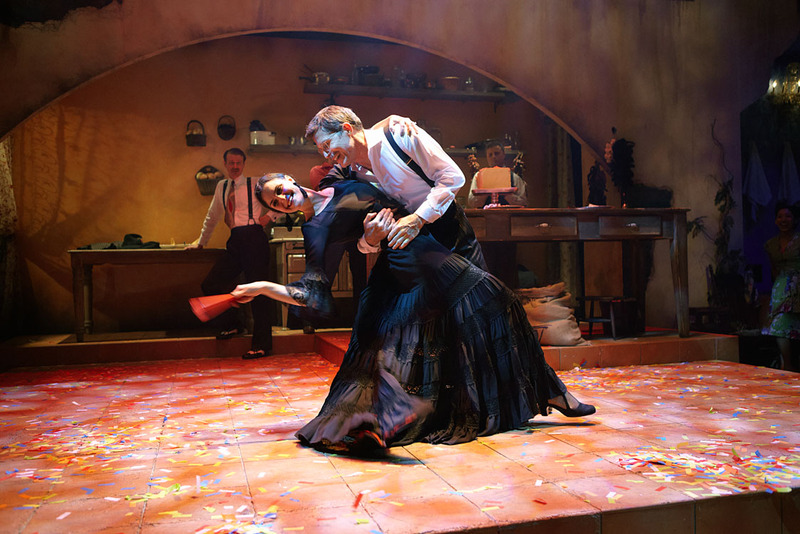 CASCABEL returns for a four week limited run at the Goodman Theatre July 30 – August 24! Below are the pertinent details. Please come out and support Lookingglass. 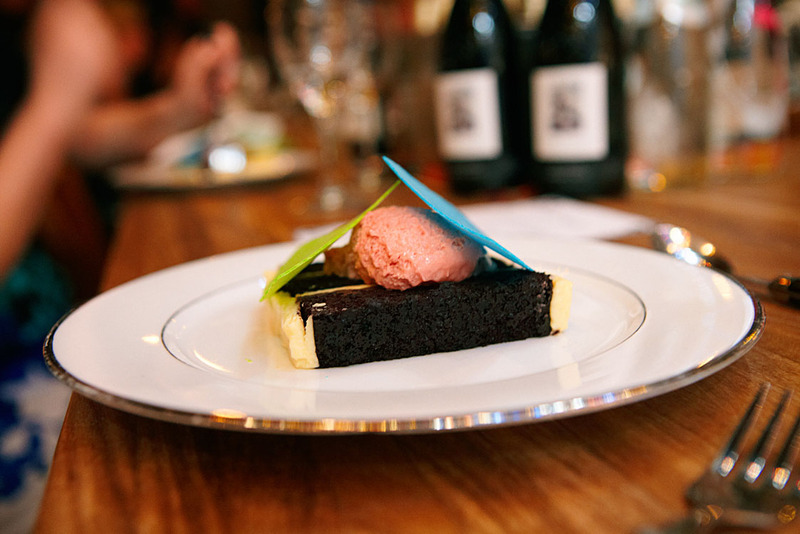 Where else can you see such a hybrid of theatre, circus, music and the culinary arts? Answer: nowhere. It really is a blissful evening of entertainment, a feast for all the senses. And I’m not just saying that because the acrobats and circus performers are smoking HOT HOT HOT!! (But they are.!) The food, the music, the visuals… it’s just one big pleasure-gasm. Get your tickets ASAP, as it sells out EVEN FASTER than Baconfest Chicago. Chicago—Lookingglass Theatre, Frontera Grill and Silverguy Entertainment present the return of Rick Bayless in Cascabel: Dinner – Daring – Desire, the unforgettable theatrical adventure featuring a sumptuous feast, world-class circus acts, and a tantalizing love story starring celebrity chef Rick Bayless that had Chicago audiences spellbound when it premiered in spring 2012. The extremely limited engagement is co-created by Rick Bayless, Artistic Associate and founder of Silverguy Entertainment Tony Hernandez (Hephaestus, Lookingglass Alice), and Lookingglass Ensemble Member Heidi Stillman (Hephaestus, The Brothers Karamazov, Hard Times). 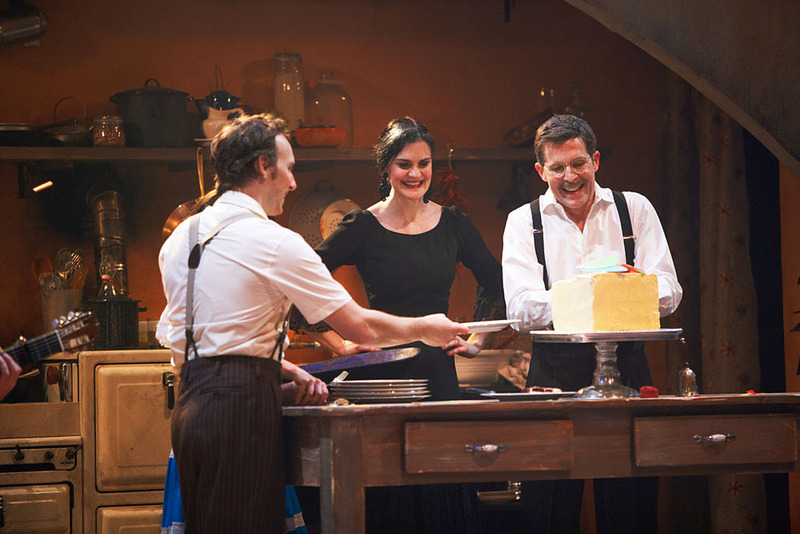 The culinary and theatrical experience of the year runs at the Goodman Theatre’s Owen Bruner Theatre, 170 N. Dearborn, for four weeks only, July 30 – August 24, 2014. In 2012, this one-of-a-kind experience played to sold out houses and had the Chicago Tribune exclaiming, “there’s nothing even remotely like it in Chicago!” Now the unforgettable theatrical adventure is back for a limited engagement with new menu elements at a new venue. 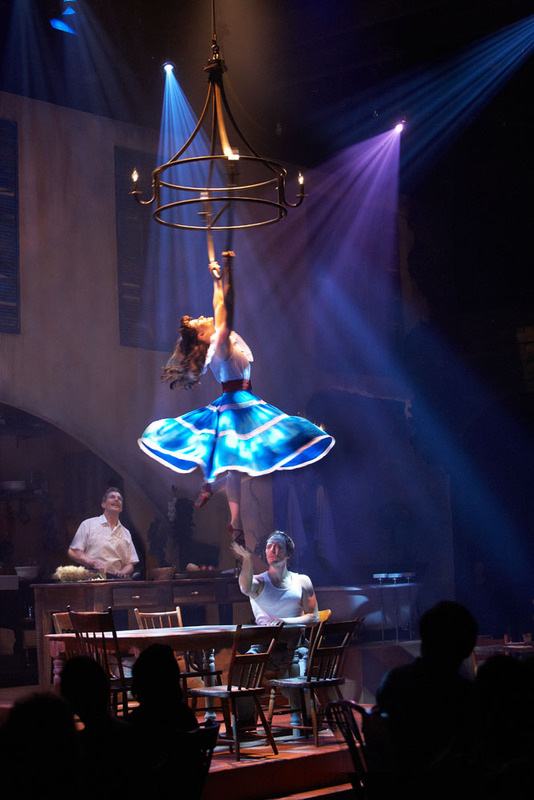 Cascabel is sensory dining unlike anything you’ve ever experienced: it’s a sumptuous gourmet Mexican feast, world-class circus acts, exhilarating flamenco, starring celebrity chef Rick Bayless. Lookingglass Theatre box office, located inside Chicago’s historic Water Tower Water Works, 821 N. Michigan Ave. at Pearson. For more information and box office hours, visit www.lookingglasstheatre.org. The Presenting Sponsors of Cascabel are Hillshire Brands and Jon Harris, KPMG, and PNC Bank. In-Kind Sponsors of Cascabel include Badoit, Evian, Herradura and Negra Modelo. Most people know Rick from winning the title of Bravo’s Top Chef Masters. 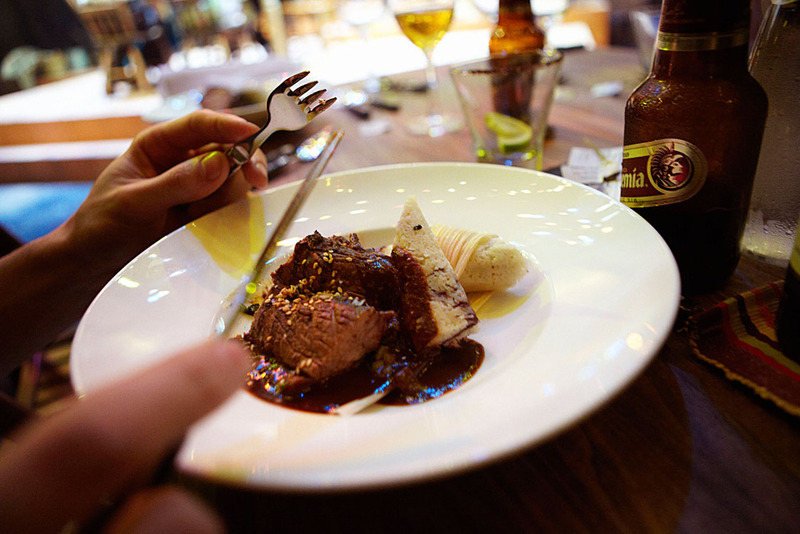 His Public Television Series, Mexico–One Plate at a Time is broadcast coast to coast. His restaurants include Frontera Grill (winner of The James Beard Foundation’s highest award, Outstanding Restaurant, in 2007), The 4-star Toplobampo, LEED GOLD-certified XOCO, as well as quick-service restaurants at O’Hare Airport, Macy’s stores and Northwestern University. Rick has won six James Beard Awards: Midwest Chef of the Year, National Chef of the Year, Humanitarian of the Year, Who’s Who of American Food and Drink, plus two for his cookbooks.